Time to get rid of your old hard drive and switch to a SSD. Powered by SATA III 6Gbps interface, the S55 is able to boot up your computer and launch applications within seconds. With its affordable price, everyone can get old computers upgraded without spending a fortune. The S55 especially applies the ”SLC Cache technology”, the new caching architecture that combines both SLC and TLC flash blocks, which enables all data to be written in the SLC portion first and leads to higher peak writing performance. Additionally, such technology can reduce write amplification on the TLC portion and thus offer better endurance and longer lifespan of the SSD. 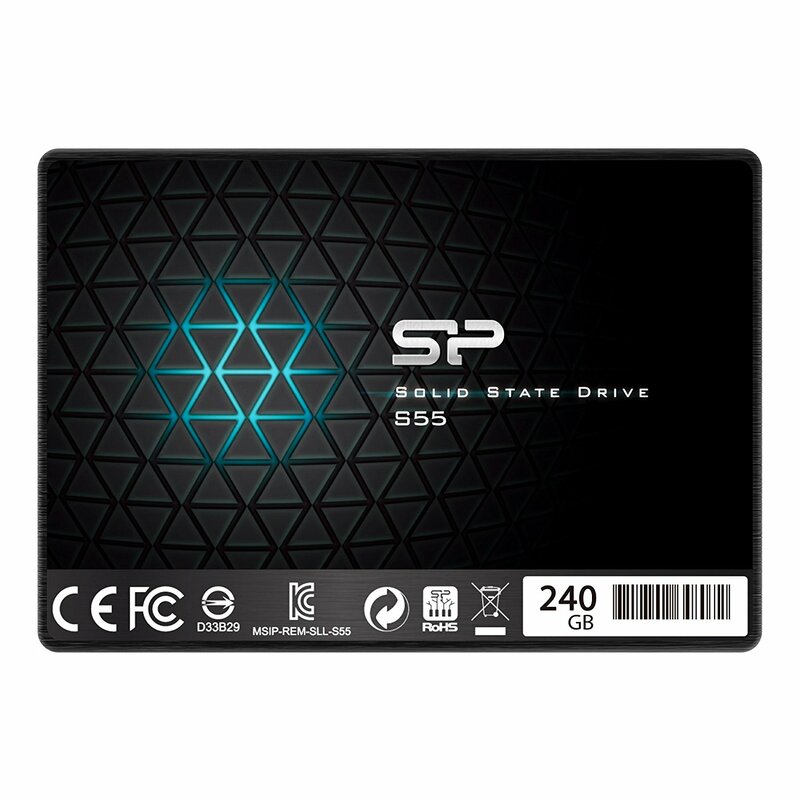 The S55 is built with Bad Block Management, which can continually monitor and replace bad blocks to keep your system in good condition with prolonged lifespan of the SSD. The Slim S55 is backed by 3-year warranty.